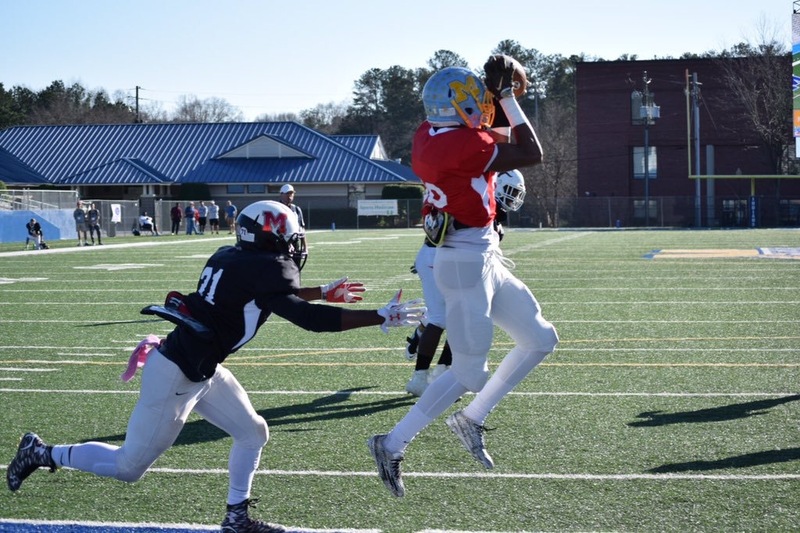 Stars align on Thursday, December 29 as the state’s top juniors from across Georgia travel to Walter H. Cantrell Stadium at McEachern High School in Powder Springs to test their skills at the Elite Junior Classic. Handpicked from all over the Peach State, talent will be aplenty as scouts keep an eye on what transpires. Players such as Texas A&M-commit Cade Fortin, four-star tight end Tyneil Hopper and state champion Terrick Small Jr. will all take the field. Known commodities to those on the verge of breaking out, storylines will be fruitful. Fortin enters the event as the most accomplished passer. After being pressed into duty at North Gwinnett as a sophomore, the following offseason Fortin’s stock exploded and he parlayed it into Texas A&M verbal on August 15. He proceeded to see his play on the field improve from the 2015 season, throwing for 1,841 yards, 16 touchdowns and three interceptions this year. Fortin will split snaps under center for the National Team with Mike Barrett of Lowndes, who threw for 2,753 yards and 27 touchdowns in his own right. Both will have a pair of Parkview receivers to get the ball to in Miles Marshall and Justin Long. Marshall caught 47 passes for 773 yards and nine scores while Long added 43 for 557 yards and five touchdowns. Both know firsthand about Barrett’s abilities as Lowndes beat the Panthers 35-34 this year with Barrett throwing for 287 yards and rushing for 63. Speaking of rushing, the American Team will have a strong stable of backs with Dante Black (Brookwood), Clay Harris (Norcross) and Nolan Edmonds (Alpharetta). Edmonds is a three-star back that rushed for 647 yards and eight touchdowns in eight games while Black and Harris are both versatile out of the backfield. Griffin Collier (Tift County) and Cameron Lewis (Eagle’s Landing) quarterback the American Team and both will have Hopper available to throw to. The versatile pass catcher can play all over the field and caught three touchdowns for Roswell this season. Defensively, Norcross’ Nazir Sy is a terror along the line. The defensive tackle tallied 50 stops, eight sacks and 16 tackles for a loss. He joins defensive ends Sean Smith (Lamar County), Caleb Washington (North Atlanta) and Kingsley Enagbare (Peachtree Ridge) who will all be bringing pressure and challenging the National Team’s trenches which features the likes of John Harris (Mill Creek), Griffin McDowell (Lee County) and Jalen Goss (Lowndes County).